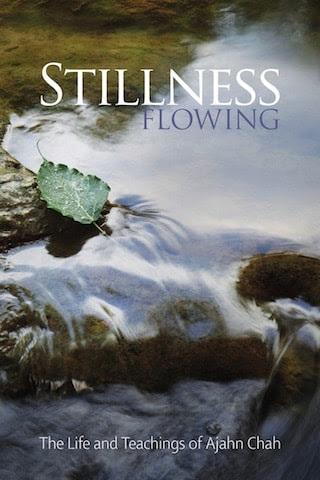 Stillness Flowing, the new English biography about the life and teachings of Luang Por Chah, authored by Ajahn Jayasaro, is now available to the public. This important work details the life and teachings of Luang Por Chah, also known as Ajahn Chah, and has been in the making for over two decades. This biography is based on the 1993 Thai biography of Luang Por Chah entitled Upalamani which was also authored by Ajahn Jayasaro. It includes translations from Upalamani, in particular many of the anecdotes and reminiscences of Luang Por’s disciples, as well as a significant amount of social, cultural, historical and doctrinal information to provide context to an audience that may be unfamiliar with Thai culture and its Buddhist heritage. Click on the photo to your left to download a PDF version of the book. If you would like to download an ePUB or Mobi version of the book, please visit the Abhayagiri Monastery website at this link.